Regular size covers vessel openings up to 8 inches in diameter. XL size covers vessel openings up to 14 inches in diameter. Get your very own Kombucha Mamma Cloth Cover & Rubber band. Extra large size means it will fit both batch brewing vessels as well as Continuous Brewers. I purchased this cover - As a new brewer I had nothing to compare it to however I can tell you it works great. I have no problems at all. Thanks Hannah! As a newbie to brewing, I ordered this Hand-Cut Cloth Cover & Rubber Band to be sure I had the correct tight weave. Starting with the correct tools to be a successful brewer is important to me. The patterns of the material are cute too! This attractive cover and rubberband give a little class and function to my vessel! Love the cloth covers! Not having to make this myself and risk fruit flies in the warmer months is awesome! So easy to slip on. The cloth cover is a must. Fruit flies are going to happen and this cover will keep them out and it is the perfect size. Thanks KK for providing a great product. I love this. It's so much better than the plain container look. The lid works awesome. I read that it also helps with the constant temperature, but I can't verify that yet. I'd buy again. No dust, no bugs, no fruitflies and perfect ventilation. Simple as that. I ordered my first upcycled cloth cover together with my kombucha scoby and I LOVED it! Excellent quality fabric and a very cute design, I was very happy I received a light color cloth versus the darker ones. My second cloth cover I ordered with the milk kefir grains but the quality was not the same, this time the fabric was extremely thin and the edges were coming apart so easily. Thankfully, KK has a wonderful customer service, it took one phone call, my complaint was submitted and I received a full refund for the second one. I really appreciate when a business wants you to truly be happy with their products! Thank you KK for understanding and immediately addressing my concern! Simple, inexpensive solution to keep dust and bugs out of the brew. And the cloth hangs low, "shading" the brew from too much bright light in the kitchen. This is so perfect for protecting the gallon jar! No critters or dust will be sneaking into my brew, but it can still breathe. It's perfect! Love my cloths! The perfect cloth to use. In purchasing the cloth rubber banded cover, I found it easily fits over my vessel and love it. I also have the vessel cover and after placing my heating system it fits perfectly over the vessel keeping the warmth inside. Love the fact I can easily take it off and put it back on. Plus the colors match. ruining my first batches because of something as simple as proper air flow. best cloth option. Bonus: I've really enjoyed both patterns they sent me! What a neat, attractive idea! So much better than coffee filters. Love that it comes in assorted patterns. I use my own 2 gallon, glass container, but received a lovely light green cloth to use as a cover for my booch. It is a much better product than my old, yellow-white pit stained t-shirt that I was going to use! Hannah has thought of everything and makes it super easy to start your brew. Thanks Hannah! I definitely recommend purchasing this. It's a great price and takes the guess work out of what type of fabric should be used. I loved that a cloth cover and sturdy rubber band were included in my Brew Now kit! 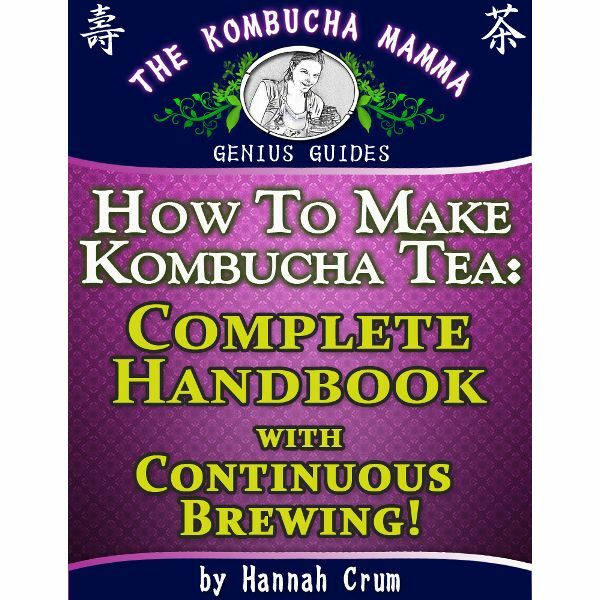 Being a newbie, it helped eliminate one more worry in attempting success with home-brewing Kombucha. Love that it keeps everything out and still looks attractive. I also like that it comes in different colors. Well worth it. Keeps everything neat looking and bug free. Great idea thanks! Love this ! This made choosing the proper cloth so much easier !